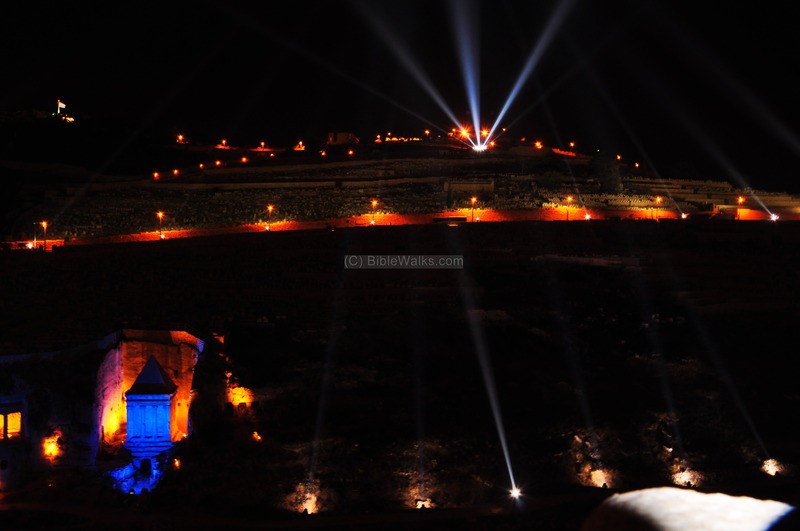 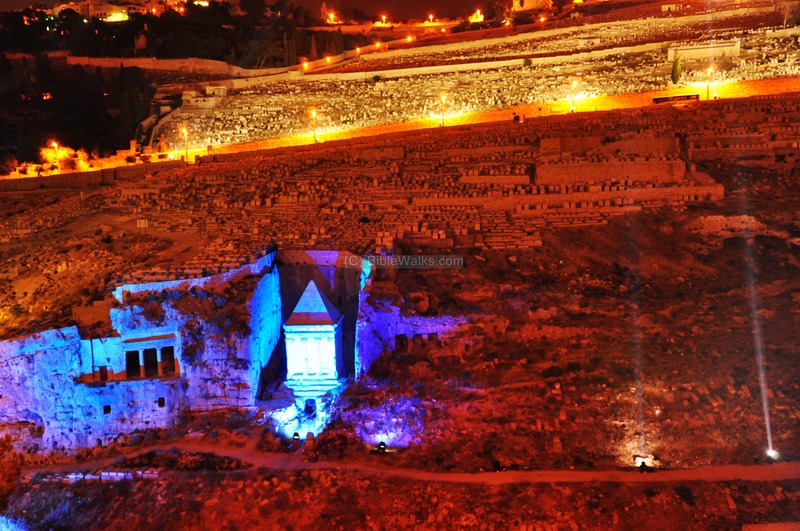 Amazing Light & Sound show held in June 2010 in the old city of Jerusalem. 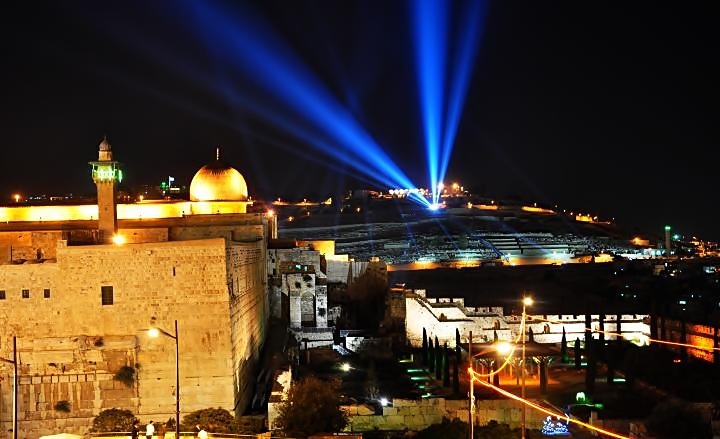 Genesis 1 3-4: "And God said, Let there be light: and there was light. 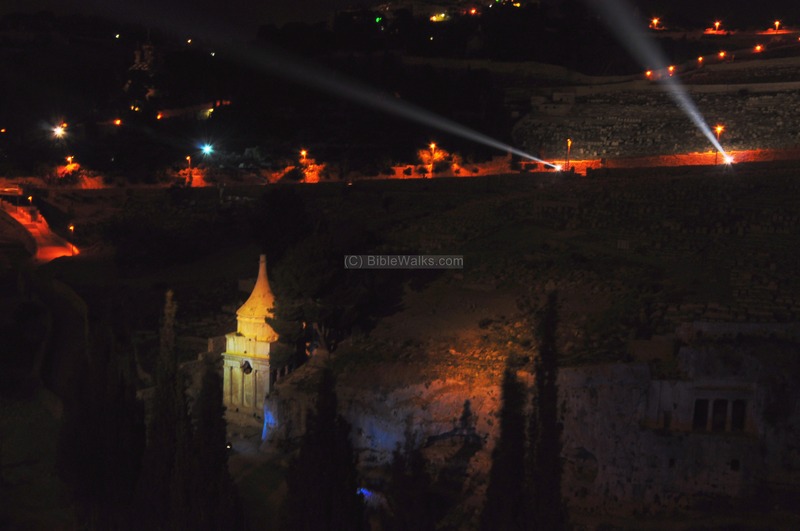 And God saw the light, that it was good: and God divided the light from the darkness." 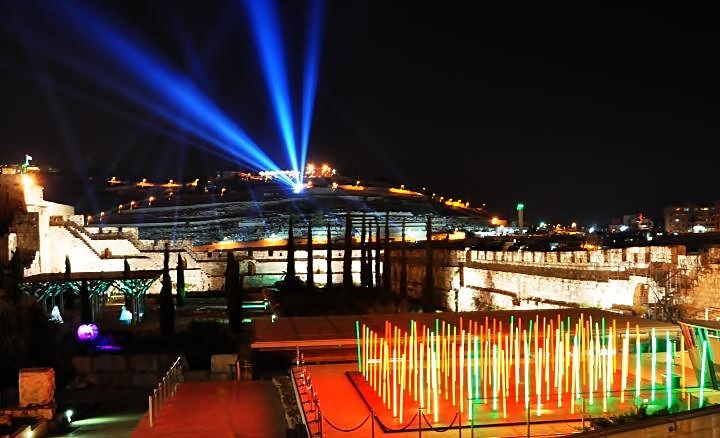 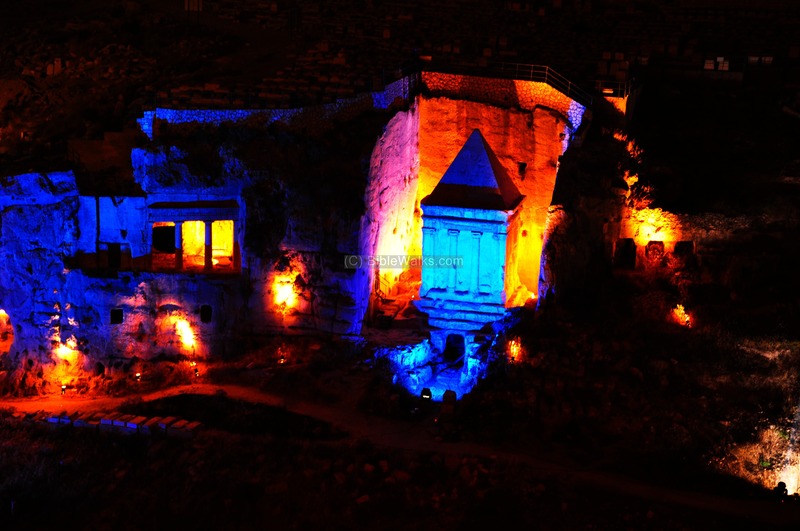 This web page shows a gallery of photos from the amazing light & sound show in the old city of Jerusalem, held in June 9-16 2010. 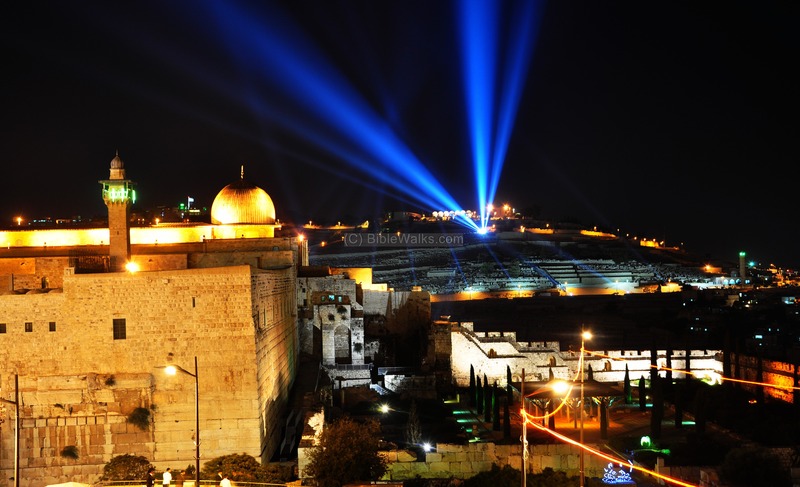 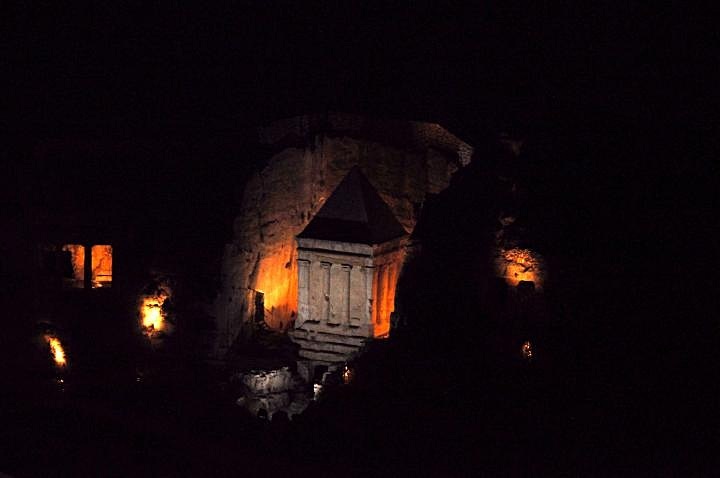 The rich experiences of walking in the Holy city of Jerusalem were magnified by the spectacular light and sound shows. 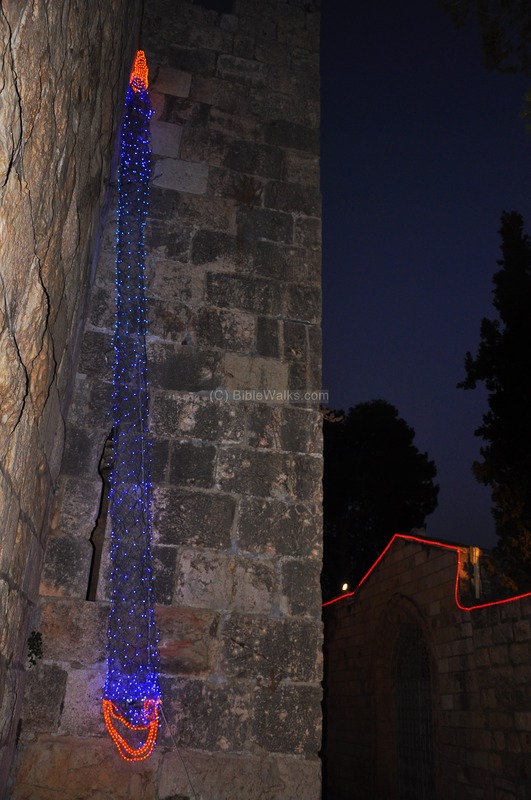 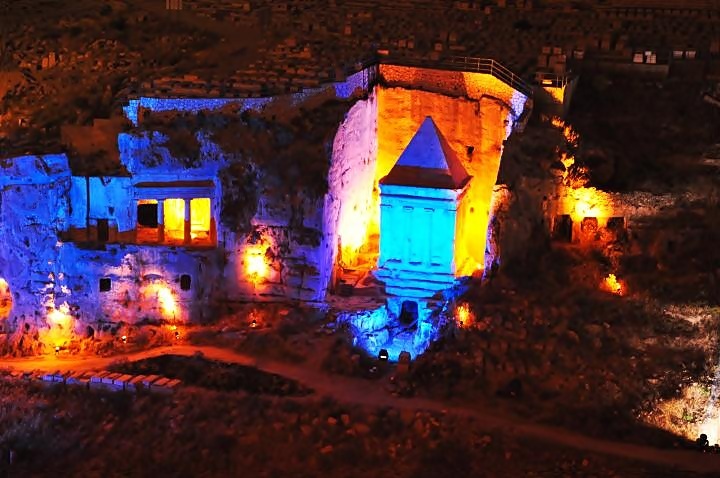 The following photos are only a sample of the spectacular light show around the walls of the old city, in the Armenian and Jewish quarters, and around Jaffa gate. There were five routes along the presentations, marked by light pipes which were stretched along the streets (see map in the link below). 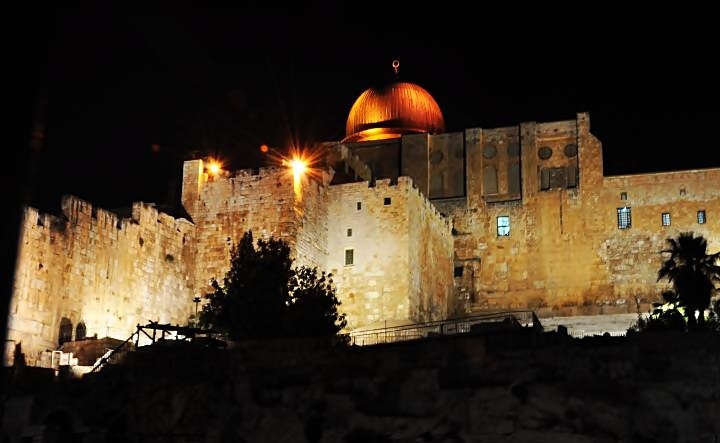 We followed the red route, starting from Jaffa Gate along the south-west walls, through Zion Gate into the Jewish quarter, then down to the southern wall, out through the dung gate then down to the south-eastern walls overlooking the valley of Kidron and the Mount of Olives. The photos below are samples of the views along the "red route", with links to more information on each site.